Say that cycling is good for the environment, helps reduce congestion, and is a great way to stay fit and active, and you'll hear no arguments from us. We're all keen cyclists here; from those of us that cycle every day to the office, to casual riders who hit the mountainous trails at the weekend. However, as much fun as it is, cycling can get dangerous in the Winter, with darker nights and cold, icy conditions. 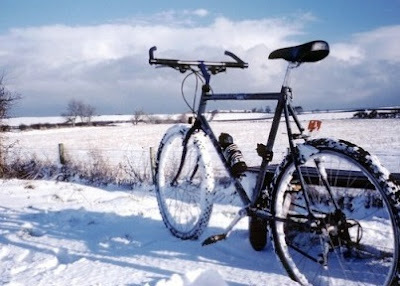 To that end we've gathered together a bunch of kit that has helped to keep us pedaling away and – crucially – stay alive. First up we have a couple of backpacks, both of which are designed for extreme wet weather. This effort from Over-board, the Pro-Vis 20 litre Backpack, comes in high-visibility green (orange also available) and features a roll and lock top to keep every drop of water the winter roads can throw at you out. The bag has a Class 3 IP66 waterproof rating, meaning that it doesn't just 'resist' water, it is completely sealed against moisture ingress and will actually float if submerged. It features a quick-release elasticated webbing on the front – excellent for attaching your helmet, a small strap for affixing a rear bike light, reflective strips on both the backpack and the shoulder straps, an inner zip pocket, and two side mesh compartments. The sternum and waist straps make it a very sturdy fit, while the ventilated back section will stop you from overheating. We seriously love this bag and have gotten quite used to the roll-and-clip sealing top (demonstrated in the video). The Over-board Pro-Vis Waterproof Backpack is the best of both worlds in that it will keep you stuff nice and dry, while also helping to keep you safe thanks to the high-visibility design. Whereas the Over-board bag was more about surviving the roughest of conditions, this backpack from Thule offers a few extra functional compromises. Also featuring a roll-and-clip top, the Pack 'n Pedal Commuter Backpack aboasts a removable padded laptop sleeve, a front zip-pocket with internal pockets for keys and your wallet, a side mesh pocket for a water bottle, and a hard case ideal for your glasses and phone. Seriously, that hard case on the side is genius – now you never have to worry about your glasses getting crushed inside your bag, or your phone screen getting scratched. This pack also has an innovative way to stow your helmet when not in use. A hide-away mesh layer can be pulled out and wrapped over the helmet, securing it to the bag. It also includes a traditional waterproof cover that can be deployed in the harshest of conditions, and also a sternum strap for your chest. Although not fully high-vis, the Thule Pack 'n Pedal Commuter Backpack does feature several reflective strips around the entire bag, and also a small strap for attaching a rear light. This bag is perfect if you're looking for more pockets and functionality, and not too bothered about total visibility and water tightness. Being seen is just as important as being able to see, and no cyclist worth their salt would venture out onto the roads in Winter without some bike lights. However, not all lights are the same (as we discovered last year when we reviewed Brainy Bike Lights) and Blaze is truly unique. In a nutshell, this is a powerfully bright LED headlamp that features a laser projector that shines the image of a bicycle onto the road in front of the user. According to Blaze this means that cars and pedestrians will be aware of you even if they can't yet see you. 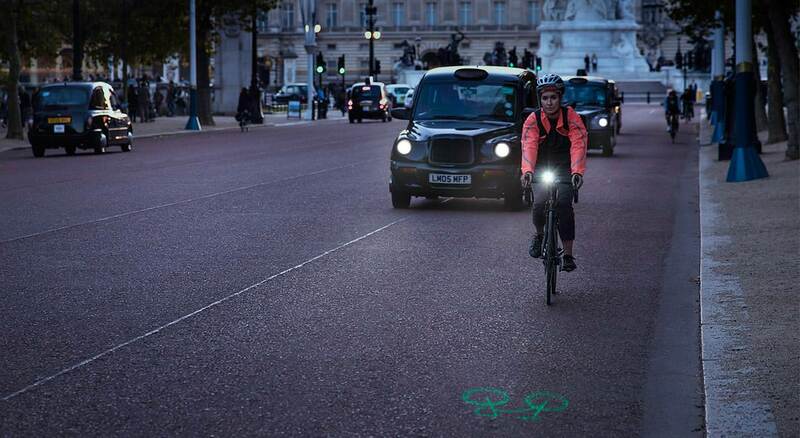 As most accidents involving cyclists occur when a car moves into their path, the Blaze helps everyone see where you're about to be... and by golly does it work. 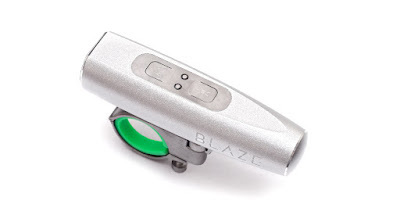 We've all been cycling with the Blaze attached to our handlebars (it includes an attachment) for a few weeks now and have really noticed a difference. 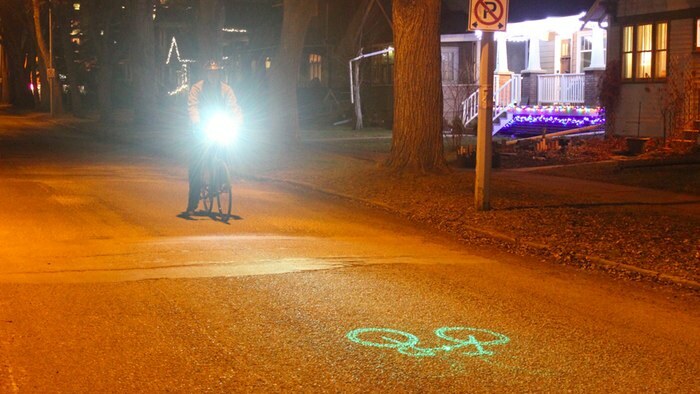 Not only is it great to have a strong headlamp (something cyclists often overlook in favour of blinking visibility lights), but the laser really does have an effect. We discovered that the first time you use Blaze you have to be careful not to stare at the laser projection all the time, ignoring the traffic around you. But soon you just accept that it is there and let it do the job. We've noticed that cars are warier of us, and pedestrians get a bit of a surprise as a bright green laser bike dances along the road besides them – helping everyone to pay more attention to the user. This thing is an absolute winner. So your stuff is all nice and dry, you can be seen on the road, and your lights are brighter and more noticeable than the sun... so how else can you stay safe? Well, just like more and more motorists are employing dash cams to keep them legally protected in the event of an accident, so cyclists can do the same thanks to action cams. We've been testing one especially designed for cyclists' helmets, the Stealth HD Action Cam from Drift. 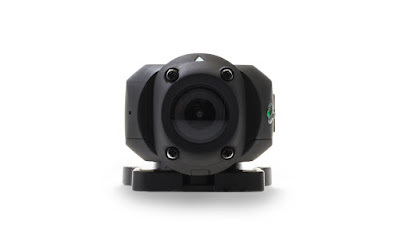 This tiny HD camera is the perfect size and shape for affixing to either a helmet or your handlebars. Unlike most action cams it is longer rather than wide, and crucially the lens can be rotated so the camera can be mounted at any angle. There is also a choice of settings beyond the usual 1080p at 30 frames per second, including a pretty staggering 120 frames per second at VGA quality. You can also take photos, time lapses, and set a timer. 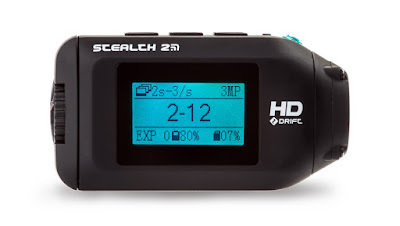 To check out the quality of the Drift Stealth 2's video capture we took a ride with the camera set to the pretty standard (but gloriously detailed) 1080p. Check out the video below and be sure to watch in HD. Hopefully this is something you'll never actually have to call upon, except to look back over your daily commute. Still, having a camera continuously running could keep you safe in a confrontational situation (drivers can be aggressive dicks sometimes, can't they?) and will also allow you to present evidence to the police should you feel your safety was threatened on the road. And, you know, you'll be able to film funny incidents and upload them to Fail Army.